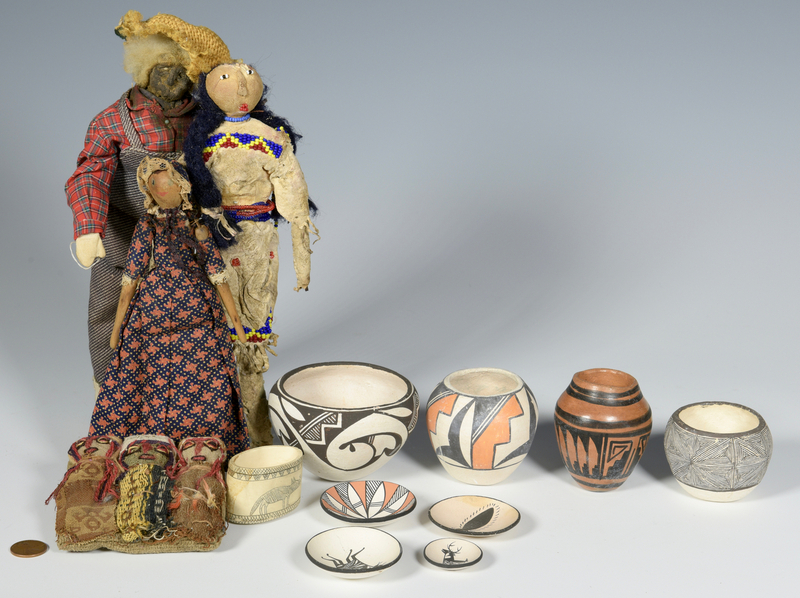 Group of miniature Southwestern Native American pottery and dolls. 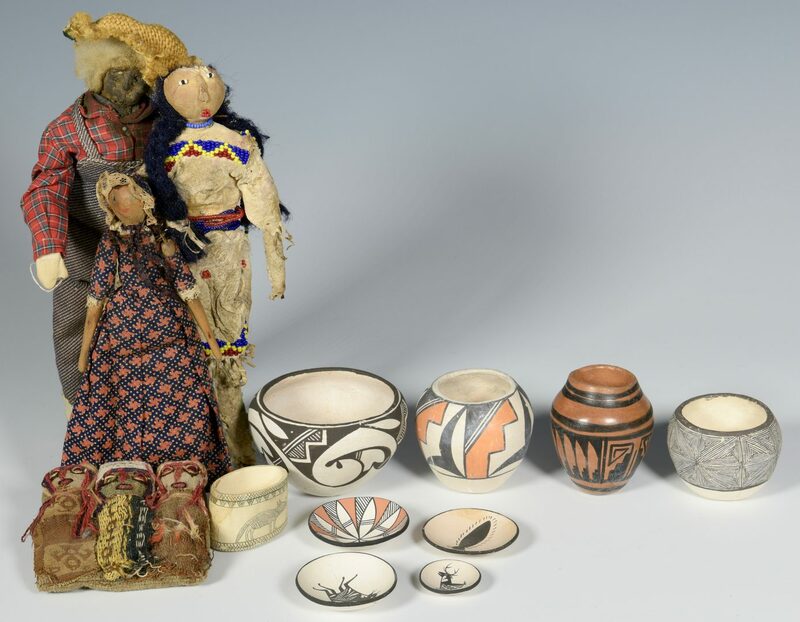 Pottery includes 4 small acomas – a 3 1/2" H black and white jar signed Mary Ann Hampton, a 2 1/2" H redware jar signed SWT Navajo; a 2 1/2" H three color jar signed B.R., and a 1 5/8" H jar signed H. Pino. 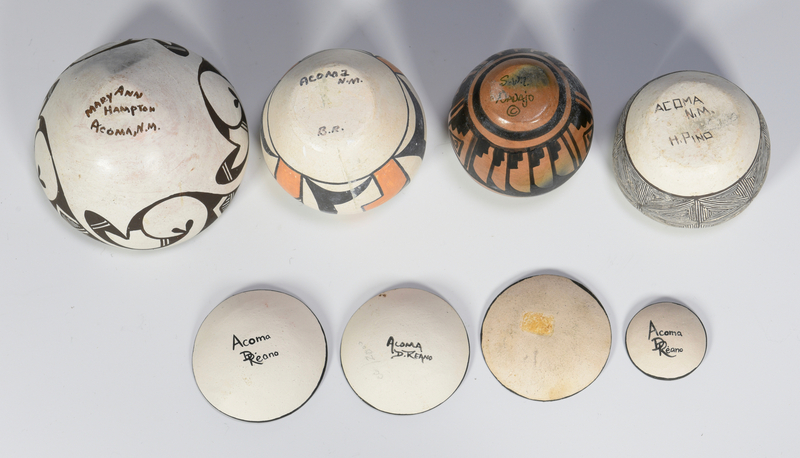 There are also four small low bowls or dishes, 2" diam and smaller, signed Acomo D. Reano, and a 1" H oval container of bone with animal decoration signed PEM. 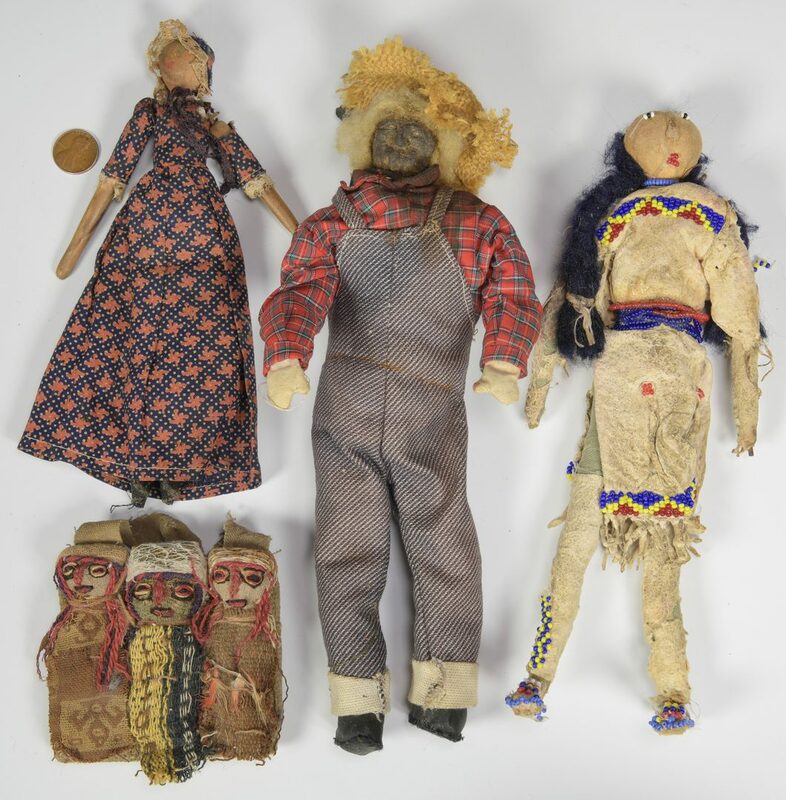 Dolls include three 3" H papoose dolls sewn to a carrying board with handle, attributed to Peru (fraying to bottom of one doll); a 9 1/2" H Native American doll with beaded face and leather clothing (part of hair may be missing); an African American farmer doll with carved nut face and cotton hair, 10" H; and a doll with painted wood face, wood arms, and gingham dress, 7 1/2" L. Provenance: consignor is an archaeologist who worked and traveled in the Southwest in the mid 20th century. CONDITION: All pottery in good condition with some light wear. Indian doll has significant wear to leather arms and legs, part of hair missing. Female doll has some tears to clothing at arms and general wear. 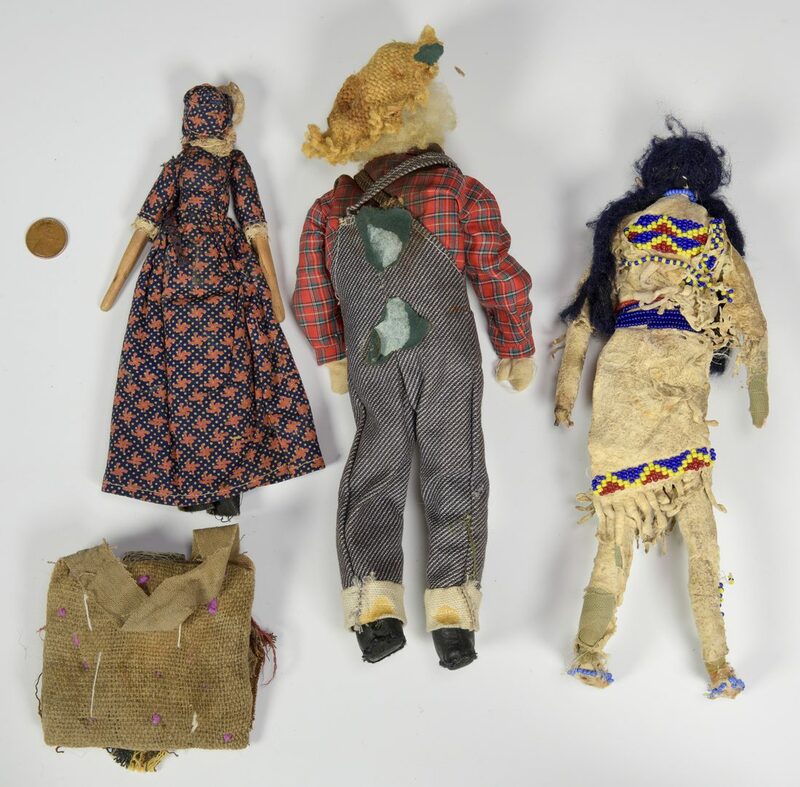 Farmer doll – stains to back from having been glued to something.